Just an FYI for all you jewelry lovers out there, you can in fact wear jewelry on your tiniest finger! Pinky rings are a major upcoming trend and should be welcomed into your jewelry box ASAP! 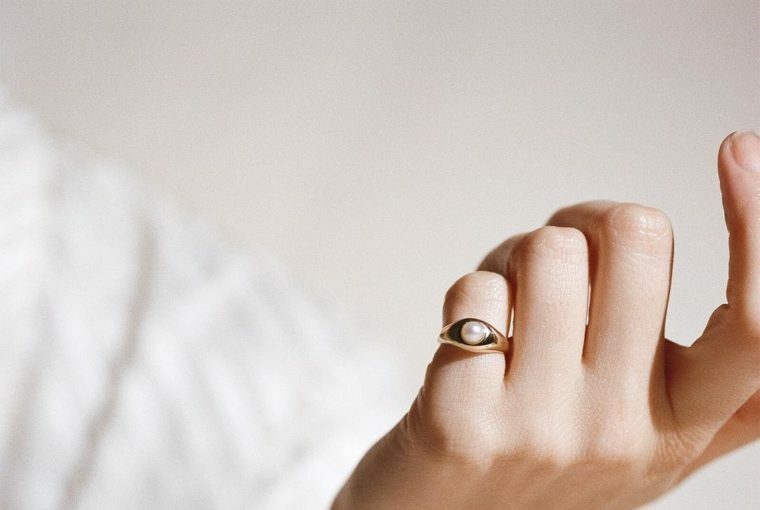 Although pinky rings are not a new trend, they are making a comeback in a huge way. Historically, there have been many meanings associated with styling a ring on your pinky finger. Single men and women in the Victorian Era that were not interested in getting married would wear a pinky ring on their left hand. Pinky rings were also associated with crime in the US for a period of time – if you have seen The Godfather, you know what we’re talking about. The British Royal family adorned their pinkies with signet rings and was used as a wedding ring which went all the way back to the sons of Queen Victoria. Today’s use of the pinky ring steers away from all the historic symbolism and is simply worn as a fabulous fashion statement. Would you try this trend? Do you prefer to be subtle or create a wow-factor when choosing a ring? Read on to learn more about our pinky styling tips and you will never wear rings the same again! Monogram Signet rings just know how to add that special personalized touch to any outfit. Choose to go large or keep it small. Engrave a beautiful gold signet pinky ring with your initials and feel the elegance radiate through your overall ensemble. If you’re feeling a bit more sentimental, engrave your lovers or best friend’s initials as a gift! Whether it’s for a birthday, anniversary, or just because, there is no doubt that they will appreciate your thoughtfulness and stylish eye ;). You can also rock this look as matching friendship pinky rings. You will feel your friendship grow stronger when you wear them. They will ultimately ensure a fun, happy and lasting relationship for years to come! Wear this ring with other stacked rings for an edgy yet elegant look. A great thing about the pinky ring is that it isn’t specific to any gender. Both men and women can rock the pinky ring look! If you’re a working man and want to add that stylish shine, a pinky ring will always do the trick. Match that spiffy tailored suit with a silver or gold band and you will feel confident to take on any day! The gentlemanly elegance of a pinky ring is being used among many of today’s male musicians such as Bruno Mars, Rick Ross, and DJ Khalid. They have all proven to hit just the right note when styling their pinky rings based on their personal style. 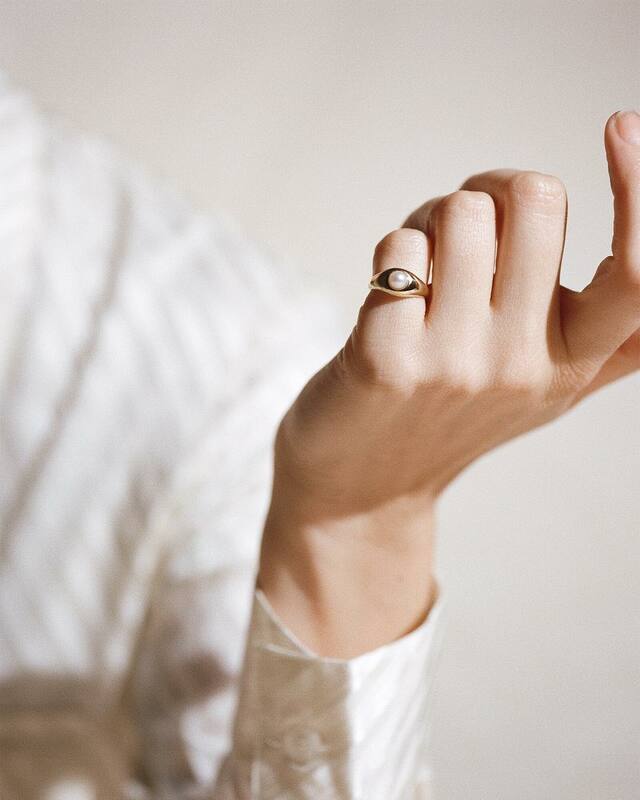 For all you minimalist women, try to rock a simple pinky ring with your outfit. Match with a pair of denim jeans with subtle rips and fringe bottom, an oversized tucked in t-shirt, and leather jacket. Gwenyth Paltrow is the perfect example. She styles her rings like an absolute queen wearing them on each finger. Whether you choose to wear a ring on each finger or just settle for the pinky ring doesn’t matter; we endorse it all. We know some of you appreciate a nice cocktail ring. Playing it safe is just not your thing and you love to add a bold touch to your outfit. If you can agree, the cocktail pinky ring is for you. This adds the perfect statement and allows you to express yourself in ways wearing a ring on your other fingers cannot. Since the pinky is small and delicate, your cocktail ring can stand out even more! If you don’t mind attention and love receiving looks of admiration, settle for this ring. Style a vintage opal ring on your pinky for a stunning antique look. Since we’re talking about vintage, you can also keep an eye out for a coin pinky ring. Match with a choker coin necklace and you have yourself a stylish outfit! Since your cocktail ring will have the spotlight, we recommend not over-doing it with your outfit. Wear your fabulous cocktail ring with a thin strap flowy sun dress and wedges during the day. Spice it up at night with black strap heels, metallic black jeans and a band tee for an ultimate edgy look. So what’s your go-to pinky ring look? Would you keep it minimal, add a personalized touch, or be bold in a cocktail ring? Let us know how you style your rings. Also, be on the lookout for new jewelry releases every Monday on our online jewelry shop 🙂 Check out our other blog posts to up your jewelry education game.